Are you as excited as I am to begin the Skirt Challenge?! With the help of the Fabric Mart Fabricista bloggers and some special guest bloggers, I have scheduled an entire month full of skirt projects and inspiration. To start it off, I thought it would be fun to give you some visual inspiration. 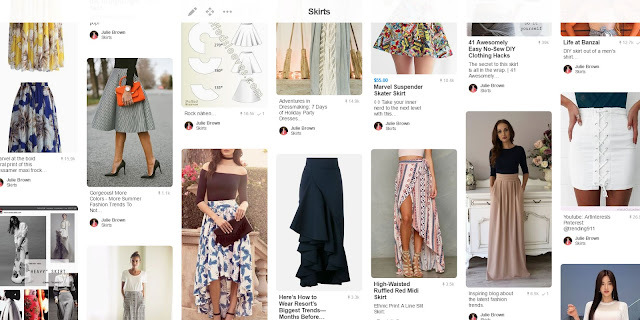 I scoured Pinterest for my favorite skirt designs - both RTW and DIY projects. Click HERE or the photo below to see the entire collection! 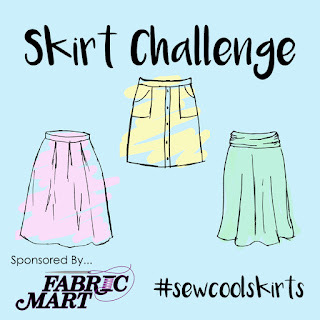 Post a photo of a skirt you made on Instagram OR Facebook using #sewcoolskirts and tag Fabric Mart in your post. Then each week in May, we will pick a winner at random to win a $50 gift certificate to Fabric Mart! There's also a few other prizes that will pop up, so watch for more details! Winners of the $50 gift certificates will be announced on May 8, 15, 22 & 29. There will also be other prizes available and we will announce what they will be at a later time. Watch our Instagram and Facebook pages for real-time inspiration! I'll be wearing some of my favorite skirts to help keep you inspired! In the meantime, get sewing and get posting! Hi Kathleen, I'm sorry you had such trouble with your first skirt! You might want to try Pamela's Patterns Magic Pencil Skirt. It's very simple and similar in style to the Mabel skirt. I'll have to check out the skirt from Itch to Stitch! I am pear shaped and still 40 lbs overweight. Would love to make and wear a skirt or summer dress but have never found a style that is flattering on me. I'm working on the weight thing. Down 35 . My reward for myself when i get to 150 is I will get myself a quality dress form ! In the meantime am sticking to tops. If anyone knows of a skirt that would be flattering for a overweight pear I'd try it ! I think circle skirts are VERY flattering on pear shapes! Actually, I think circle skirts look great on women of all shapes and sizes, and they are so fun to make and wear. I actually entered one I made for this challenge. Upload a photo of your skirt on your Facebook page and "tag us" by putting @FabricMart. That will tag us. 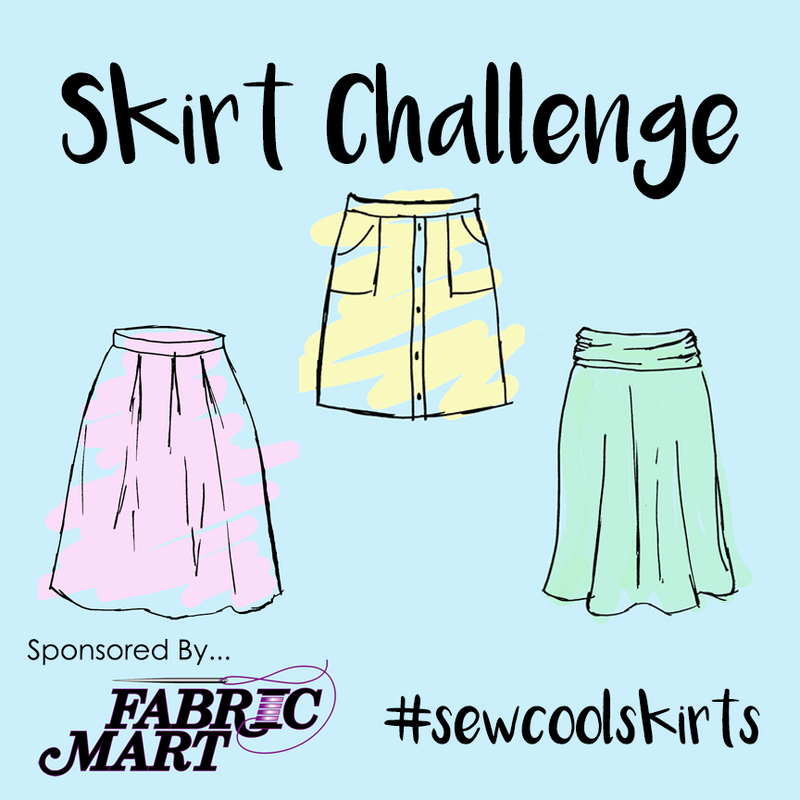 Also include #sewcoolskirts in the wording and we will be able to find it. I hope this helps!